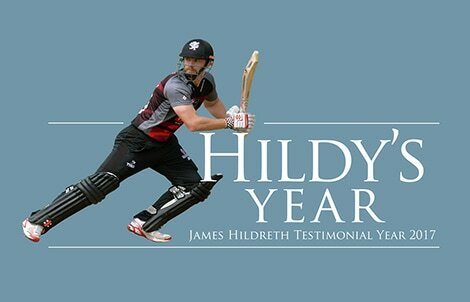 Bideford CC is very proud to be hosting a testimonial match for one of Somerset's finest - James Hildreth - on Sunday May 7th from 2pm. The match - whose main sponsor is Wollen Michelmore Solicitors - will take the form of a T/20 and will feature a number of Somerset's stars. Tickets - priced at just £6 for adults and free for Under 16s - are available from the Children's Hospice SouthWest Shop in Mill Street, Bideford; the Londis Shop in Westward Ho! ; and the Glover Stanbury office in Bridgeland Street, Bideford. Although the match starts at 2pm, be sure to get down to Westward Ho! early as historically crowds have always been good. In addition to watching First Class cricketers on show, there will be outside food tents, an outside bar and Somerset County Sports will be bringing a stall full of cricket bats, helmets and other equipment. James made his Somerset debut in 2003, playing in nine National League games and the Championship match with Derbyshire at Taunton. James’s second Championship appearance was against Durham at Taunton in 2004 and he marked it by scoring 101 and 72 against an attack including Shoaib Akhtar. In the same season he represented England Under 19s against Bangladesh, scoring 210 in the second ‘Test’ on his home ground of Taunton. The previous winter he had played in the Under 19 World Cup in Bangladesh. Voted ‘Most Promising Young Cricketer of the Year’ in 2004 by the Cricket Society, James had a testing start to both 2005 and 2006 but emerged to become the youngest Somerset player to score a double century when he made 227* in the final Championship match of 2006 against Northamptonshire. He carried this form into 2007 and passed 1000 first class runs for the first time, hitting four centuries in the process and winning his county cap. In the 2007-8 winter he was rewarded with a place at the National Academy working with the England Development squad. He was a key member of the victorious Twenty20 Cup team in 2005, making useful contributions with both bat and ball. 2008 and 2009 were not so successful although in the latter he became the sixth Somerset player to score a triple century. 2010 was his most successful and consistent season and he hit seven first class centuries and made runs in every format of the game. He was rewarded with a place in the England Performance squad to Australia during the winter of 2010. James captained the England Lions on their tour to the West Indies in 2011 and also appeared for them during that summer. In 2012 he shared the county all wicket partnership of 450 with Nick Compton and also scored his maiden T20 century against Glamorgan at Taunton. 2013 and 2014 were not James’ most consisten seasons, but in the former he scored 1,000 First Class runs for a fourth time. In 2014 be passed 11,000 First Class runs in his career and scored 146 not out, sharing an unbroken sixth wicket partnership with Lewis Gregory in the thrilling Royal London One-Day cup victory over Durham at Taunton. James enjoyed a hugely successful season in 2015 and was the leading run scorer in England. In his 16 Championship matches James scored 1,390 runs including three centuries at an average of 53.46, with a best of 220 not out. 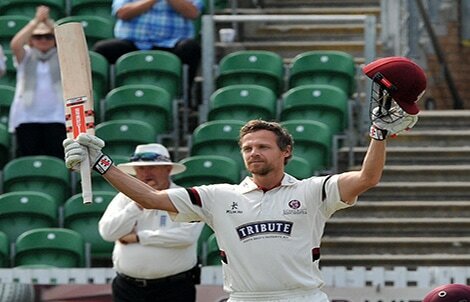 In 2016 James enjoyed another good season and was the first player to 1000 first class runs, which included four centuries taking his total for Somerset to 37. In the last match of the season against James made 135, adding 269 in a vital third wicket partnership with Chris Rogers against Notts, and batted for most of time with a broken ankle! James will be enjoying a well deserved testimonial season in 2017.